How Do I Plan A Gutter Installation? 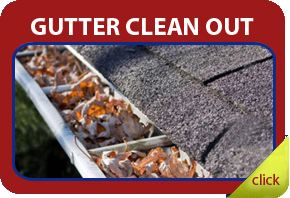 Rain gutters are at risk to damages from falling branches, termites, weather, and other factors. It may also be bent if a ladder is leaned along the house. Therefore, replacing your old gutter is a common thing. 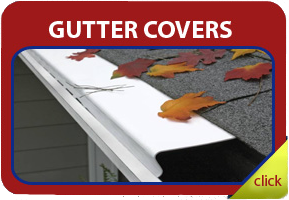 Actually, replacing rain gutters is one of the most common DIY projects done by homeowners. Replacing your rain gutters with new ones will make your home more attractive; at the same time improve its capacity to drain water accurately. 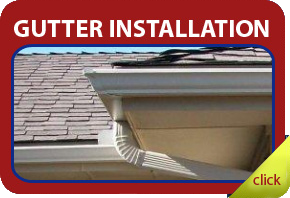 There is no need for you to replace your entire gutter system as it is very simple to swap the damaged piece with a new one since the installation of most rain gutters is done in sections. Because installation is done in parts, important things should be remembered such as installing the gutter at a slight slope to ensure that the water will pour out and making sure that the gutter should have no holes or cracks. On the edge of the roof, use a chalk to draw a line, measure a one to one-fourth inches below the metal drip-edge of the roof, with a slope of one half inch for every length of ten feet. Look for the rafter tails which are at the back of the roof fascia and mark them. You don’t need to mark everything, just every other one of it. Generally, these rafter tails have nail heads and are 16 inches apart. You will need a drill fitted with one eight inch bit. Use this tool to bore holes into the marked rafter tails and into the fascia. 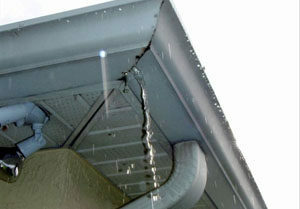 Use lag screws (2 to 2.5 inches long) to fasten the brackets of the rain gutter fascia. Use a power miter saw which has a carbide-tipped finish blade to cut the rain gutter into pieces that will fit the roof. For its corners, follow a 45 degree angle to cut an end of a section and another angle to cut a joining piece to fit it. Drill holes along the edges of the gutter (about 1/8 inch diameter), at the straight end of the gutter, fasten the end caps. Use a rivet gun to attach the caps. Use a hole saw to cut a spout hole in one of the ends of the gutter. Make sure to use the correct diameter when cutting the drain spout. Put your gutter on the brackets of the roof fascia. Continuously rotate it until it fits the hooks which are at the back of the brackets. Use machine screws (stainless steel) to lock it in place. Use aluminum (3 inches wide) and wrap around all the connections of 2 pieces of gutter. Use sheet metal screws or pop rivets to fasten the strips to the underside of the gutter. Attach the downspout into the gutter and fasten it into the hole using metal screws or pop rivets. At the bottom end of the spout, use a screw to attach a downspout elbow. On the first elbow, fit another elbow and crimp a second elbow to fit it using needle-nose pliers. Always remember to use protective clothing, gloves, and goggles when cutting metal.